Witnesses & Photographed by; Scott C. Waring, Wife, & friend. Glowing White Orb UFO sighting Cypress, Texas, USA. 4. 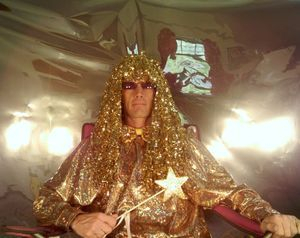 Master Presence; when the Christed or Higher Self; what humans become when fully enlighten. 6. Master of Divine Truth; unchangeable reality based on God-consciousness; 2) absolute knowing about purpose & the nature of reality; 3) absence of thoughts & beliefs that create limitation, destructiveness, or illusion. 7. Order Melchizedek; Order Melchizedek were known to run mystery schools of spiritual initiation & ascension in Atlantis & Egypt. Jesus Christ studied with members of the Order Melchizedek prior to his initiation in the Egyptian pyramids during his late teens & early twenties. 8. Order of the Great White Light. 9. Order of the Great White Brotherhood. 10. 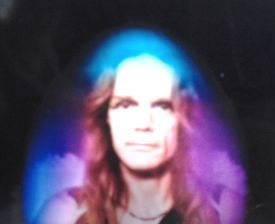 Sisterhood & Brotherhood of Ray Ascended Christ. 11. City of Light: 4th 5th 6th Dimensional cities of Temples of Light where the Ascended Masters dwell. 12. Pleiadian Emissaries of Light. 13. Pleiadian Archangelic Tribes of Light. My main goal is to wake up as many people as I can to the truth about time travel and teleportation. This is an ability that anyone can acheave and you don't need a machine. Everyone has the gift in side of them. All you need to do is wake up to some truths. 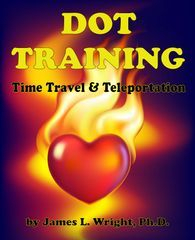 With some requirements and exercises you can time travel and teleport anywhere in space and time in the universe. I received an incredible gift that I want to share with the world. If I can be it, anyone can be it. This is leading edge technology in the metaphysical science world. Story by James L. Wright * Produced by James L. Wright * Directed by James L. Wright & Divine Guidance. Channeling Holy Trinity’s Spirituallogical Psychology Counseling & Guidance. King, Lord, & Master Dr. James Wright channeling Holy Trinity’s Spirituallogical Psychology Counseling & Guidance. 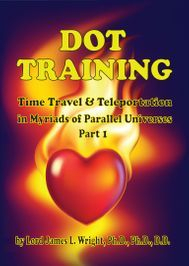 DOT TRAINING manual & DVD sold separately. By E-mail or phone on contact page appointment only first before payment. If you like what I’m doing? You can help fund my continued research & help me awaken God's Children to their true potential. You can make a donation to my cause in waking up Gods children by expanding their body, mind & soul by illuminating their true Christ self. When you make a sacrifice " Not wanting to do it" it opens a door for you to receive. When you give out of your heart & not brag about it. It opens a door for you to receive a gift from the Holy Trinity.